PRIDE & Equality gives you a different experience, showing you the real individuals and celebrities who are part of the community. Published once a year during Gay Pride, P&E focus on GLBT celebrities and individuals in the community. Keep your news real with PRIDE & Equality magazine. In the 2018 issue we discuss Cleve Jones and the 2017 Models of Hope Honorees. In the 2017 issue we discuss Cleve Jones and the 2017 Models of Hope Honorees. PURSE FIRST! We interview winner of RuPaul's Drag Race, Bob the Drag Queen. 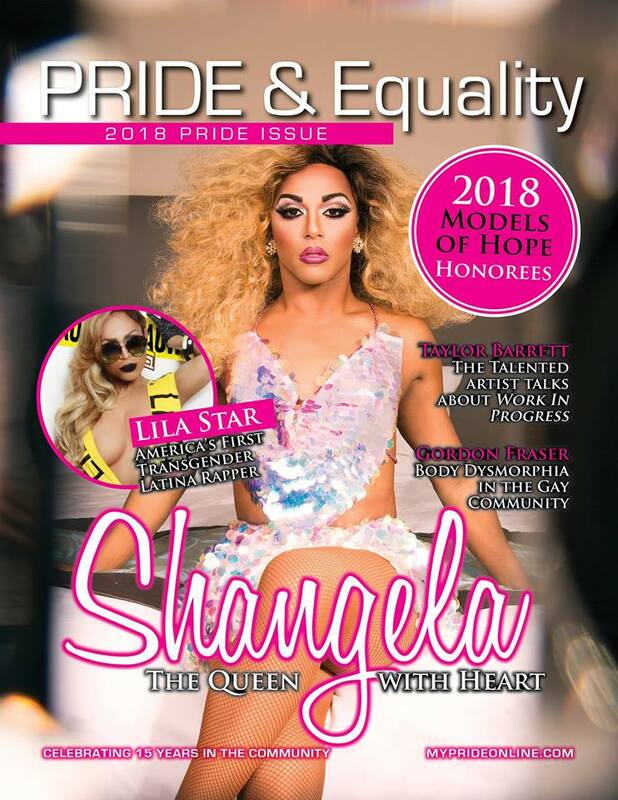 This year we celebrate Pride with Kennedy Davenport of RuPaul's Drag Race, meet this year's Models of Hope honorees and what's to come for Pride week! Last year's Pride celebrated the 45th anniversary of Stonewall. In this issue, we talk with Colton Ford about his new album, video and upcoming project. Alex Newell shares his excitement about his new album and The Voice's Beverly McClellan is defining her future in the music industry. Subscribe to our annual magazine today! 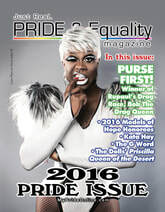 PRIDE & Equality has a catalog of past issues, along with our upcoming issue. Please review the pop-up menu and choose your edition. A PDF of that issue will be sent to you.